The CLA Longitudinal Study emerged from the Social Science Research Council’s collaborative partnership with the Pathways for College Network, with technical assistance in data collection provided by the Council for Aid to Education. The project has followed over 2,300 students at 24 institutions over time to examine factors affecting learning in higher education along the dimensions of critical thinking, complex reasoning, and written communication as measured by the Collegiate Learning Assessment (CLA). In the first two phases of the study, we examined student learning data for all four years of college, which were discussed in Academically Adrift: Limited Learning on College Campuses (University of Chicago Press, 2011) and the policy report Improving Undergraduate Learning: Findings and Policy Recommendations from the SSRC-CLA Longitudinal Project (2011). The third phase of the project extends our analysis of student learning to post-college transitions two years out of college to illuminate how various factors influence life course outcomes. 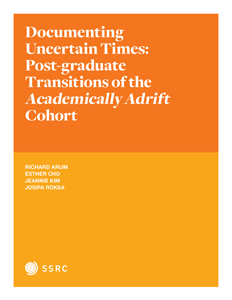 Initial findings were discussed in the report Documenting Uncertain Times: Post-graduate Transitions of the Academically Adrift Cohort (2012). 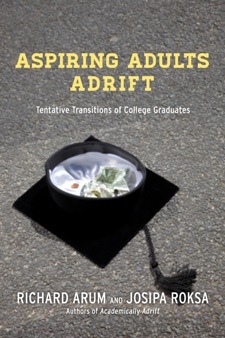 Aspiring Adults Adrift: Tentative Transitions of College Graduates (University of Chicago Press, 2014) is a book based on phases 2 and 3 of the project. 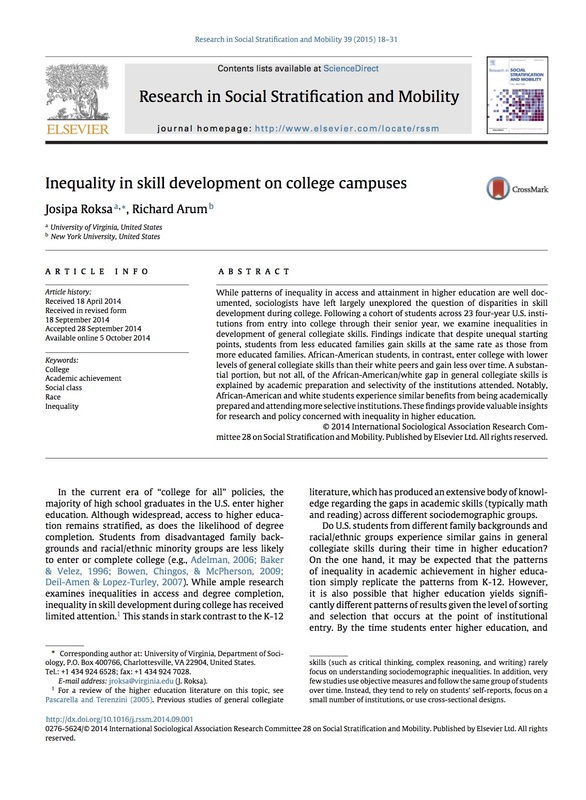 For more information, please visit highered.ssrc.org.